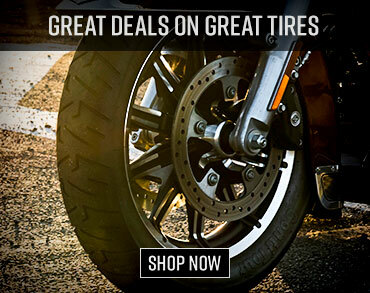 The Harley-Davidson 3/4 Helmet with Retractable Sun Shield is comfortable, stylish,lightweight, and its deployable Sun Shield is a very handy feature, indeed. If you’re a motorcyclist who wears a full-face helmet, sooner or later you’re going to get caught after sundown without a clear shield to swap out for your tinted one. It’s inevitable. You could just flip it up and squint your way home as dirt, pebbles, and bugs bounce of your corneas, but in some states, riding without eye protection isn’t an option – it’s the law. 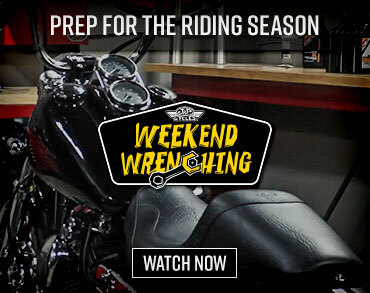 Harley-Davidson looks to remedy this situation with its 3/4 Helmet with Retractable Sun Shield. Three-quarter helmets are the happy medium between full-face helmets with maximum cranium protection and half-shell helmets that are usually a solution to the helmet law for riders who wish they didn’t have to wear a helmet at all. The sides of the head are encased and protected, but there’s no wraparound face support. Instead, a 3/4 helmet offers a clear, unobstructed view of the road through a hard plastic clear shield that hangs down about chin level. That being said, the Harley-Davidson 3/4 Helmet with Retractable Sun Shield is extremely lightweight at three pounds. It has a polycarbonate shell that gets the DOT seal of approval. Slipping the helmet on, it’s extremely comfortable. Pressure points are in the forehead and mid-cheek, but otherwise I barely notice it’s on. The cheeks are well-padded and the forehead is cushioned by the removable liner. The interior gets what H-D calls the SilverCool treatment that aims to wick away moisture and to keep that funky, sweaty-head smell to a minimum thanks to an antibacterial liner. The washable liner pops right out via two snaps on the back and a few tabs that slide out in the front. The padded double D-ring chin strap is comfortable, too, and it has a convenient snap for the excess strap. With its open face 3/4 design it allows a lot of ambient noise and wind in. Not that it necessarily needs it, but it does have what H-D dubs an Advanced Channeling Ventilation System. This equates to dual air vents in the top and four small exit ports on the back. The tabs to open the vents are small and require a firm push back to click open, but the bottom of the shield sits right about chin-level and already allows a healthy flow of air in. The H-D 3/4 Helmet is all about ease-of-use. The Sun Shield deploys with one-finger, the face shield pops in and out easily, and the convenience of not having to take your helmet off at every stop is a bonus. The H-D 3/4 helmet comes with a clear face shield with the anti-fog treatment, but again the chin-level position of the face shield automatically prevents it from fogging. The helmet has a RapidFire shield replacement system that works like a charm. Open the shield up all the way, push the two tabs back and it pops right out. It pops back into place almost as easily, just push the spring-loaded tab back again, line up the grooves, and Voila! It’s one of the easiest, most uncomplicated systems around. But its coolest feature is its One-Touch Integrated tinted Sunshield. This helmet’s all about ease-of-use, and this extends to the Sunshield’s deployment. There’s a tab located on the crest of the helmet that slides forward and clicks into place to slide it down. When you don’t need the Sunshield anymore, push a button on the top of the helmet and it snaps back out of sight. The tint of the Sunshield does a good job of cutting down rays so you don’t need sunglasses, either. And saving me the hassle of having to stop and swap out face shields when the sun goes down is a big bonus in my book. What I call ‘Stormtrooper-styling’ makes it a sharp-looking helmet. There are plenty of angles integrated into the design and channels on the sides leading to the air vents. Fans of The Motor Company like to fly the H-D banner on their gear, so the helmet has the Bar & Shield logo stamped front-and-center in the middle of the forehead and Harley-Davidson logos running down the sides. The rest of the helmet is glossy black. The 3/4 design means you don’t have to take it off to communicate at every pit stop. Just flip the visor up and you can breathe easy and carry on a conversation without having to take off your lid. When it’s time to roll out, flip the shield down and ride. The Sunshield works as advertised and I like the fact that I don’t have to carry two face shields at all time. Comfortable, stylish, and lightweight, the helmet is a deal with a $160 price tag and gets our stamp of approval. 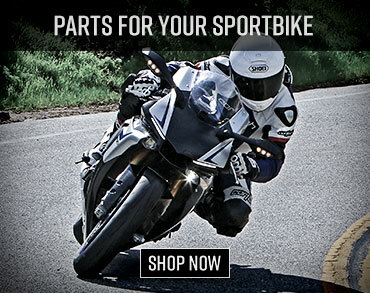 Check out more Motorcycle Helmets at Motorcycle Superstore.